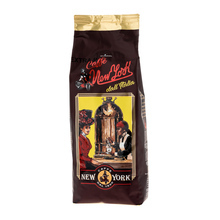 New York coffees are as authentic as the Tuscan nature. It all started in 1930, in Montecatini Terme. 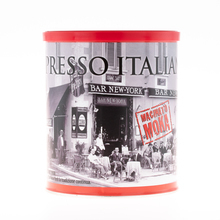 Ugo Incerpi, the founder of NEW YORK bar, wanted to please his demanding clients and thus began to roast his own coffee. 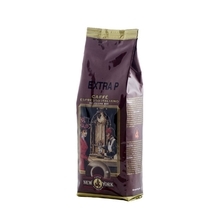 His coffee turned out to be so good that it quickly gained popularity among people all over Italy. After the end of World War II Loretta, Ugo’s daughter married Oscar Onori. Onori, being an expert agronomist, developed the company into a roastery big enough to distribute coffee all over Tuscany. 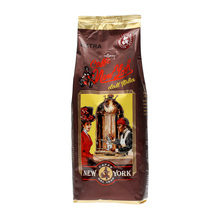 Thanks to consolidation, continuous development and wisely passed on knowledge, Caffe New York became a worldwide known and renown brand. 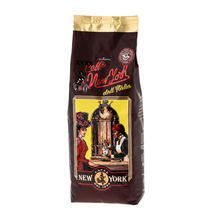 When enjoying your cup of New York Coffee, close your eyes and think of 80 years of tradition it contains. 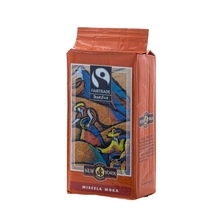 1 kg 250 g Ground Whole bean 100% Arabica 80/20 Sort by: Price (Low to High) Price (High to Low) Product name a - z Product name z - a Highest rate Lowest rate New in!